Am Donnerstag hat sich Florida und unser Residencekünstler Richard John Jones mit Künstlerin Cosy Piéro (zweite von links) getroffen, die von 1962 bis 1980 die Bar “Bei Cosy” gehabt hat. In Kürze veröffentlichen wir das Programm für die temporäre Bar “Moby Dyke”, die am 21./22. August in der Lothringer13Florida stattfindet. Thank you for your time and the great evening, Cosy! 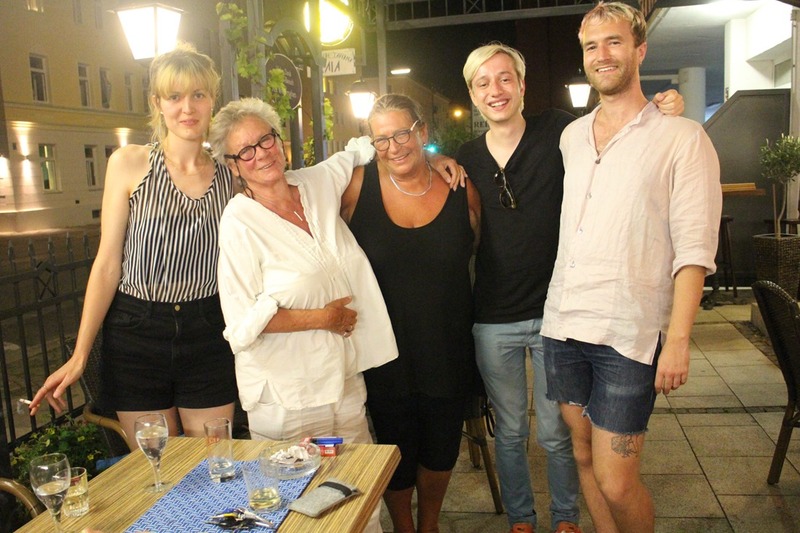 On Thursday Florida and artist in residence Richard John Jones met artist Cosy Piero (second from left), who owned the bar “Bei Cosy” from 1962 till 1980. Soon we will publish the program for the temporary bar “Moby Dyke”, which will take place on the 21./22. August at Lothringer13Florida.